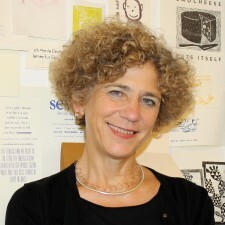 Johanna Drucker is the inaugural Martin and Bernard Breslauer Professor of Bibliographical Studies in the Department of Information Studies at UCLA. She has published and lectured widely on topics related to digital humanities and aesthetics, visual forms of knowledge production, book history and future designs, graphic design, historiography of the alphabet and writing, and contemporary art. Her most recent publication, Graphesis: Visual Forms of Knowledge Production, was published in the MetaLab series in 2014 (Harvard University Press). 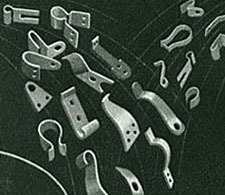 Poèsie des Mots Inconnus (1949) was an anthology of early 20th century experimental visual and sound poetry. Edited by the poet-printer-artist Ilia Zdanevich, (a.k.a. 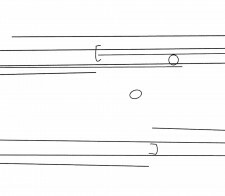 Iliazd), the anthology may be the first compendium of 20th-century radical avant-garde work. Produced in response to a challenge by the founder of Lettrisme, Isidore Isou, the book demonstrated the range, richness, and variety of work done by pioneering figures in Dada, Futurism, and Modern poetics. The book is an artist’s publication, with typographic and graphic virtuosity in every contribution, including pieces by Pablo Picasso, Joan Miro, Max Ernst, Velimir Khlebnikov, Raoul Hausmann and more than a dozen other prominent figures.